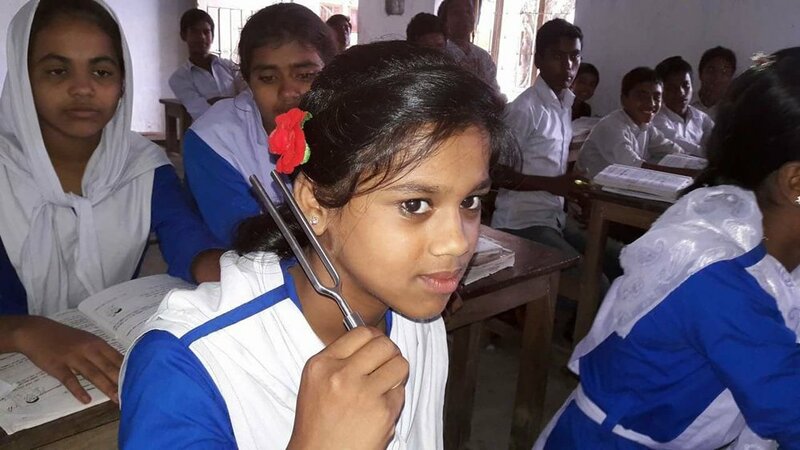 Agami is a US-registered non-profit charity, dedicated to promoting basic education for the underprivileged children in Bangladesh. Our aim is to provide educational materials, access to education and support, with an end goal of making our project villages self-sufficient. Although Bangladesh provides free education to children in primary schools, there is an administrative charge to buy books and uniforms, and lunch boxes. Rural managed schools are also short-staffed and quality of education is compensated due to low or no admission fees. Every year, we at Agami receive an outpour of applicants from different schools that require funding and help in different areas of the school. Agami’s team visits the school, helps with focusing on key areas of school development and allocates funding accordingly. Agami believes that supporting the growth of a school will have a sustainable impact on the quality of education in the long-term. 15 districts have benefited from the Agami school program. Agami has implemented the program in conjunction with the Teachers’ Training Program to ensure that the science lessons were delivered effectively. Khan Academy has delivered one billion lessons worldwide, and receives an overwhelming exposure of 40 million students and two million teachers every month. Khan Academy’s educational content has been translated to 36 foreign languages by volunteers and international organizations to educate the masses. School Programs and Monitoring are the very first country-wide Agami initiative. Agami, in association with AEF's collaborative efforts, supports different schools across the country. The program operates on the basis of the school's needs focusing on primary to higher secondary schools. Action group: We measure our success by the positive impact of the activities we undertake. Education: The focus of our group is empowering children through education. We firmly believe that education is the best vehicle for breaking the cycle of poverty in developing countries. We will partner with other organizations, when and where possible, to provide a holistic solution addressing other critical needs such as health care, nutrition and economic opportunities. We may also choose to engage in local partnerships that align with Agami's vision, mission and core values. Secular: We aim to help any underprivileged child, regardless of religion. Non-political: We do not partner with any political group and/or party of national or international origin. Volunteer based: All of our members are volunteers, not paid employees. We may hire non-member staff to help execute our projects and programs. Donations: 100% of project donations received are invested in projects and programs benefiting the underprivileged. Pearabagh is in a densely populated slum area in Dhaka city. It has a total population of over 15,000, it has a population growth of about 3.5% annually. Most of the people are rickshaw pullers, fruit and veg sellers, day laborers, an/or garments workers by profession. The socio-economic condition of the targeted slum area is below poverty level. The daily average income is below $4. Pearabagh school has come a long way with the help of Agami. Since 2001, Pearabagh has been established to help disadvantaged students from lower socioeconomic areas. The school has been flourishing under the care of the dedicated administration. The school has also extended its support to its current students to further their education in the secondary level. 217 students (Boy-86, Girl-131) have been enrolled in PSD-Pearabag school and studying from Pre-primary to Grade 5. As Agami came into the picture the overall scenario has improved in terms of academic result, quality of education and classroom performance. Agami has been supporting Pearabagh school since 2005. Before Agami’s support, PSD-Pearabag was suffering because it could not support the expenses needed to run a school. The school was not able to retain its teachers because of its financial incapability. The dropout rate was close to 90% because of all the hardships the school faced. Agami came into the picture and helped bring the dropout rate to less than 10%. Only 6 students dropped out because they migrated out to their village as the parents could not afford to living cost in Dhaka. Pearabagh’s students achieving to their highest potential.